Traveling via land, air or sea you’re bound to come across uncomfortable headrests and seating positions. 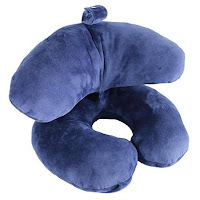 Why add to the stress of traveling with a stiff neck or an excruciating nights rest when you can use the best travel pillows to aide in your journey? We’ve looked at the best and worst travel pillows out there and sorted out the ones which will keep your travels free of any added headaches. The J Pillow, the winner of British Invention of the Year 2013, provides great neck and chin support. The pillow gets its name from the design of its shape which allows you to support your chin while you sleep preventing those head drops that suddenly awake you. It can be a little tricky to use at first but after a little adjustment you’ll be having a restful experience on your journey. The material is soft and comfy on the skin and is also machine washable. The only negative takeaways from this pillow is that one might look a little weird while using it. The shape also prevents you from storing easily within your luggage. This pillow is currently the best selling travel pillow on Amazon. 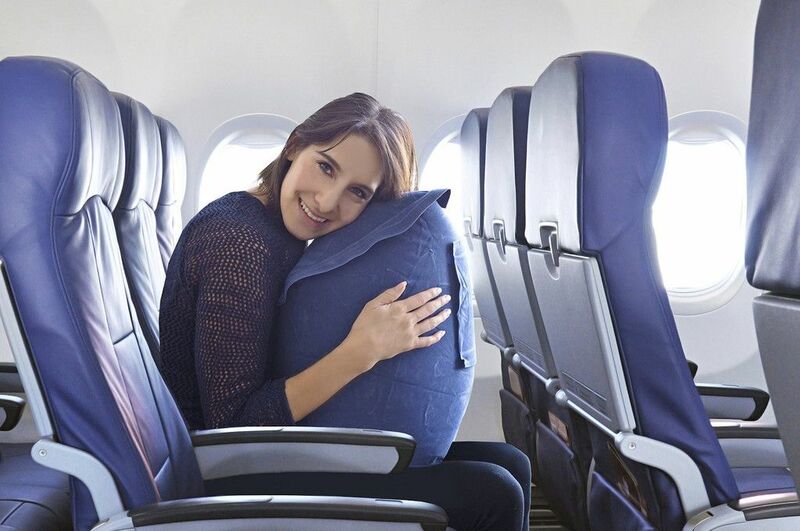 The Cabeau Blue Evolution Pillow is an interesting design, the form allows for support both on the sides and allows for forward support as well for people that prefer to sleep head first in planes. If you love your memory foam mattress you’ll love this as well. Like with all things memory foam you will need to air it out when you recieve it because it has a certain smell that comes with the product. 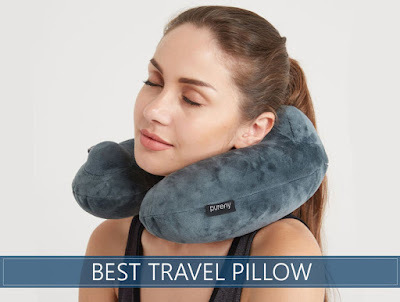 You will also need to temporarily take it off because memory foam insulates well so unless you want to sweat through a 10 hour flight you need to let your neck breath. I love that it comes with it’s own carrying bag which makes it easy to travel with. 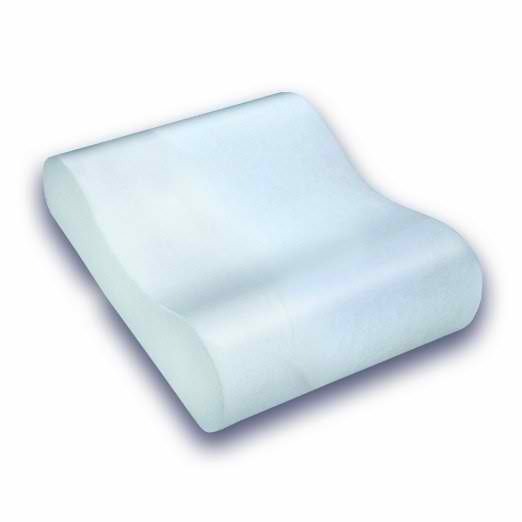 This is the number one traveling pillow according to the Wall Street Journal. It’s easy to inflate and only takes about 3-4 breaths to inflate fully. It’s similarly effortless to deflate and tuck away in your bag. 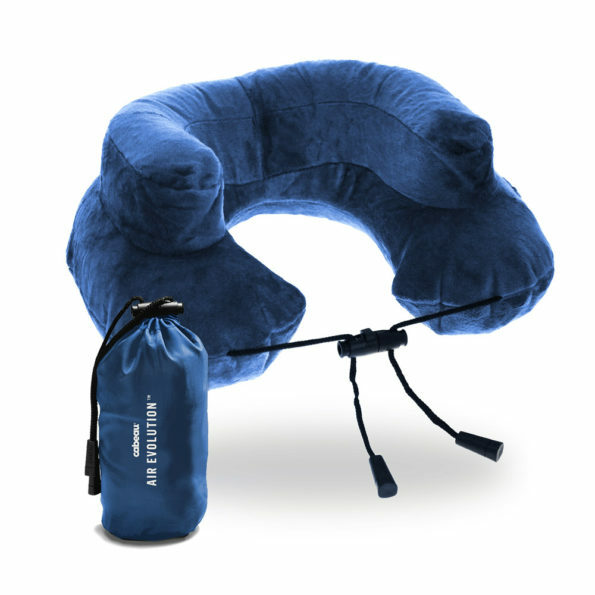 This pillow works in supporting you by positioning itself like a seatbelt or messenger bag. One drawback in this is that it can only support one side at a time so if you shift in your sleep this might not be the right pillow for you. You’re also able to customize your pillow by buying additional covers such as a memory foam cover. 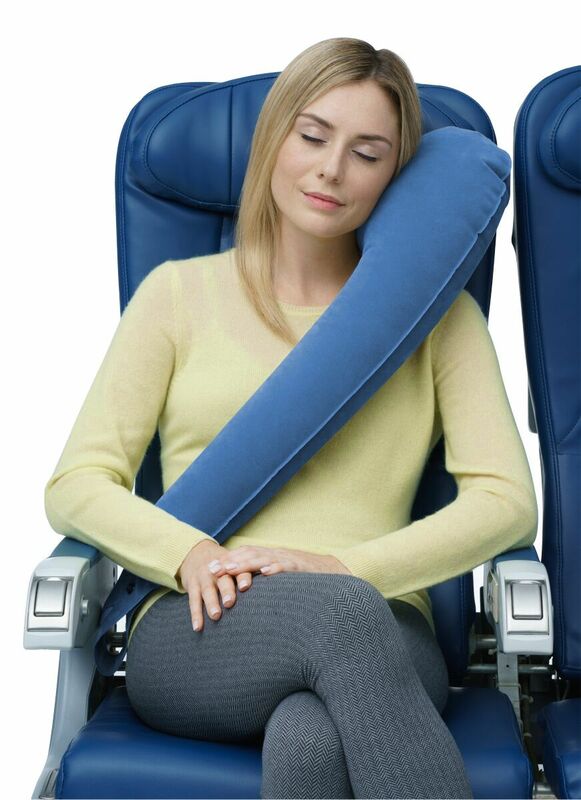 This pillow connects to your seats using several bands, however this might be problematic as different airlines have different seat configurations. If you’re one to try out weird things then this one is for you. I say that because this pillow not only will support your neck while you sleep but will garner lots of weird looks your way. The good? Easily inflatable and can be inflated within a minute. If you’re a forward sleeper when it comes to traveling, this is for you. You can place this on your knees or on top of the tray in front of you. However, due to the large size it is recommended to sit next to the window or warn others around you incase they need to go to the restroom. The contour in the Travelrest travel pillow is perfect for your back and neck support. This pillow is soft and would certainly provide a good nights rest. Once packed it is about the size of a larger loaf of bread. The cover is removable and washable which is an added bonus specially if you travel often. The contours come in two sizes for you to decide your comfort level. However, the pillow itself with a 10″x15″ dimension might be a little too narrow for some.